1 What is a cryptocurrency, exactly? If you’re just getting started in the world of cryptocurrencies then the amount of information may seem overwhelming. Blockchains, forks, stablecoins, mining, staking, complex exchanges, security, hardware wallets….OMG! Where does it end?! Cryptocurrencies are such a revolutionary technology, they bring a whole new set of concepts with them. You are just starting with cryptos, so prepare to forget a lot of concepts from the legacy financial system. Get ready to see what millions have already seen: a world where the financial system is governed by individuals, not by centralized institutions. What is a cryptocurrency, exactly? Let’s start from the beginning! What is a cryptocurrency? How is different from a credit card or other legacy payment system? A cryptocurrency is a technology which allows value to be transferred from peer to peer, either of which may be located anywhere in the world, without requiring trust between the two peers and also without the need for a middleman. Pfew! That’s quite the mouthful. But that’s what a cryptocurrency is. A novel technology that allows anyone to become their own bank. When you need to send money to someone else, simply request their address, paste it into a wallet and hit send. Cryptocurrencies work from person to person, without a credit card processor or bank in between. That brings us to the next subject. When it comes to cryptocurrencies, there is one magic word you’ll hear a lot: decentralization. When you type your password into a credit card machine, you’re actually not sending funds directly to the salesman. There’s at least one bank between you and them (usually several banks). You and the salesman both trust the bank. You trust that only the amount you authorized will be debited and the salesperson knows they’ll receive the right amount when the credit card balance gets settled. This architecture where you trust a middleman to complete a financial transaction is called a centralized architecture. “Centralized” refers to the institution that actually carries out the financial work. A cash transaction, on the other hand, is decentralized. There is no one between you and the merchant. Cash flows from the client to the cashier in real time, without going through a financial institution. But how do you send cash to someone across the globe? What if someone picks up a 20 dollar bill you just dropped, does anything keep them from spending it without your consent? These questions have long challenged researchers who tried to develop a more secure and still practical payment system that didn’t require a middleman. For decades all attempts at creating such a technology failed. Until a mysterious person/entity/group self-entitled Satoshi Nakamoto came along. Whoever Satoshi may be, he/she/they developed the first ever viable cash-like payment system that can be freely used by any two people who don’t necessarily trust each other without employing a middleman. Bitcoin is a little like cash, in that it allows you to send money straight to someone else, without anyone in between. But it’s also a little like a credit card in the sense that it requires passwords and protections in order to work. No one can simply “find” some Bitcoin and spend it like they can with cash. Also, Bitcoin is fully traceable. With cash you can spend money anonymously and never be traced. Bitcoin, on the other hand, allows anyone to see transactions in real time. Bitcoin is cash for the 21st century! One guy modified some parameters in the Bitcoin source code and created his own cryptocurrency called Litecoin. Soon after came Dogecoin and Ripple and literally hundreds of different cryptocurrencies. Bitcoin was no longer the only cryptocurrency. Instead, Satoshi had initiated a worldwide movement that’s gaining more and more momentum daily. When the amount of cryptocurrencies exploded, so did the number of exchanges. Exchanges are simply brokers that allow you to securely trade cryptocurrencies for other cryptocurrencies and also for fiat money (dollars, euros and so on). Lots of innovative exchanges appeared. For example shapeshift.io allowed you to anonymously (no longer anonymous as of 2018) send them one cryptocurrency and receive a different cryptocurrency on the other end almost instantly. It’s like a magic box where you insert euros on one side and receive dollars out of the opposite side – almost instantly. When you become your own bank, nothing protects you from yourself or from others. It is entirely your responsibility to keep your funds safe and backed up at all times. In these early days of cryptocurrency use, a lot of users have lost funds due to not taking precautions. This is one area where having a traditional bank can feel safer than using cryptocurrencies. One of the greatest differences between credit cards and cryptocurrencies, for instance, is the fact that crypto transactions are irreversible. Therefore, if you’re planning on using cryptocurrencies, be prepared to hold your own when it comes to protecting your funds, avoiding theft and online scams. There’s lots to talk about when the subject is cryptocurrencies. 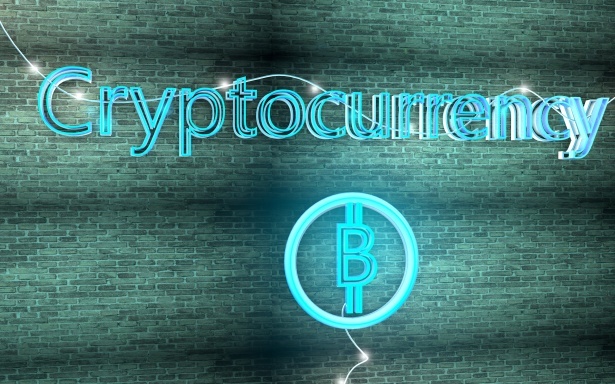 We couldn’t possibly cover it all under one article, but we hope this introduction has given you an idea about what cryptocurrencies are, how they differ from traditional payment methods and some of the precautions you should take when using crypto.